Buyer walks into your store (or lands on your website). Buyer browses your selection of products or services. Buyer whips out a credit card. Buyer leaves (or closes the tab), new purchase in hand or soon to be delivered. Would be nice if the buyer’s journey were this straightforward, right? Maybe, but then you wouldn’t have had to look for this post. 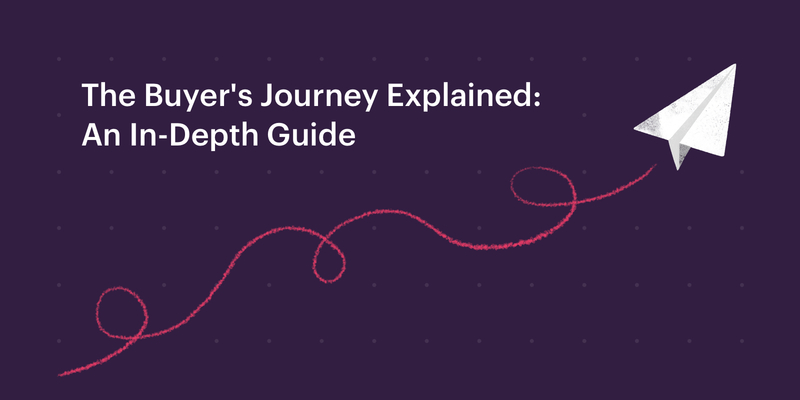 Keep reading to get an introduction to what the buyer's journey is—and get a step-by-step walkthrough of how to create your own. This starts in the early stages, when someone has just become aware that they need to buy that shiny new thing—and some companies even look at stages after the initial purchase (hello, upgrades) too. Buyer journeys are extremely important, not only because they give your organization an idea of where your revenue is coming from, but also because they show you the path to creating truly helpful types of content that will get you even more customers, keep your current ones happy, and upsell them too. The buyer journey is not a new concept—companies have been trying to market themselves at strategic points in the buyer journey for a very long time. How long? We’re talking back in the day, when black-and-white TV was a thing. Do you know why soap operas are called soap operas? It’s because back in the ‘30s, these drama serials were sponsored by soap brands like P&G and Colgate-Palmolive. Why? Because they believed that was the best way to reach housewives and to market their products to them in the awareness and consideration phases—not unlike the way brands are sponsoring your favorite podcast today. Now that’s a brilliant way of applying the buyer journey to your sales and marketing. Of course, buyer journeys will be different depending on factors like the industry and whether your company is B2B or B2C. Some buyers may not spend a lot of time at all in certain stages of the journey (e.g. you probably won’t be thinking too long about buying a Netflix subscription), while others will have completely different stages in their buyer journey that are unique to the product they’re buying (e.g. purchasing software for a company typically requires lots of demos, calls, team meetings, and so on). Overall though, the buyer journey usually consists of three stages. The first stage: someone (aka. the potential buyer) realizes they have a problem—that they need to fix by purchasing something. This is the research phase. This potential buyer is thinking more deeply about the problem and looking at different solutions to solve it. The buyer is ready to choose a solution. Hopefully, they’re buying from you. The first thing to keep in mind: not everyone starts at the awareness stage. Someone might come to you in the consideration phase, already well aware that they need to buy a product like yours. Secondly, some phases might be more crucial to certain industries and products than others. For example, if your company sells everyday goods that most people are familiar with, your awareness and consideration phases are probably going to be less intense than, say, those of a hot new tech product that no one knows about yet. The latter will need to create a lot more content to educate potential buyers about what the product does, how it works, and more. Oh, and remember our earlier note about how some companies are getting around the long consideration periods in buyer journeys? Meet the streamlined buyer journey. According to the Harvard Business Review, some forward-thinking companies are creating a new type of buyer journey, one that minimizes the chances of potential buyers floundering around in search of a solution and maximizes the amount of revenue that your existing customers can pull in for you. This is mainly done by aggressively shortening the consideration phase and really focusing on the expansion and recommendation phases—which didn’t exist in traditional buyer journeys. Pro-tip: The expansion phase refers to when the buyer is deciding to upgrade what they’ve already purchased, and the recommendation phase refers to when the buyer tells their friends and family about how awesome this product is—essentially becoming a part-time salesperson for the product. 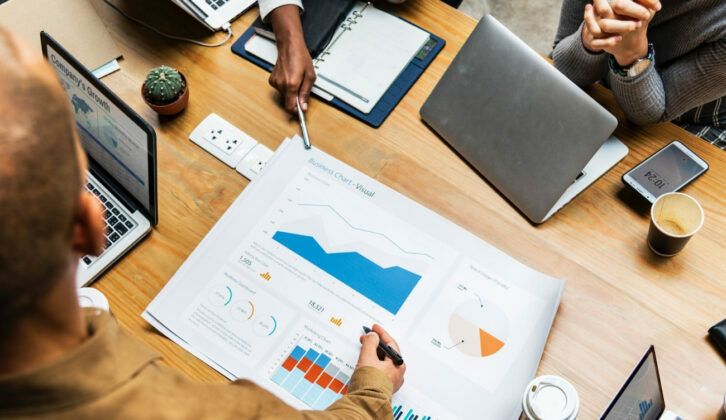 These phases create brand evangelists, referrals, upgrades and all that good stuff that increases your revenue with minimal effort from your sales and marketing teams. While that’s all easier said than done, there’s yet another fun challenge today for companies that are interested in inserting themselves into these buying experiences: people are more willing (and able) to self-educate pretty far down the buyer journey. Someone could easily do a ton of research on, say, the best vacuum cleaner on the market, which store has the best prices on vacuums, the best time of year to buy (Hello, Black Friday), and so on—all without vacuum companies being directly involved in the process. Thanks to third-party review sites, blogs, and social media, brands seem to have even less of an opportunity to sell themselves directly to consumers. That’s not great if you’re trying to influence your prospects’ buying decisions. Why? Because if buyers can handle the consideration and decision phases by themselves all the way up until they’re ready to check out with their shopping carts, then you have pretty much no chance to persuade them to go with you. That’s why it’s important to build relationships early in the buyer journey, even before someone has entered the awareness phase. But first, you need to actually have a buyer journey to work with. 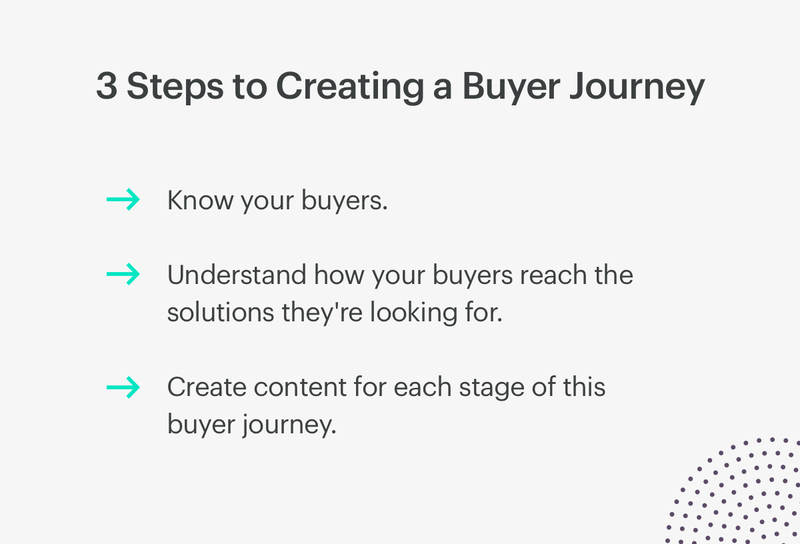 How do I create a buyer’s journey (and content for each stage)? Now, if you’re like most of your competitors—well, most companies really—you’re probably thinking that the more information you give to your prospects about your products, the more helpful you’re being and the more likely they’ll buy from you. After all, businesses of all sizes spend small fortunes on creating and compiling product data, customer testimonials, and use case libraries so they can shove all of this content into their websites, sales emails, drip campaigns, you know the drill. This many businesses can’t be wrong... right? Actually, this kind of info dump isn’t really effective as it leads to “an 18% decrease in purchase ease.” Having too much information actually makes things harder—who knew? Granted, this data is from a survey of B2B buyers, but this could very well apply to B2C buyers as well (unless you think that certain people are immune to choice paralysis and information overload). But first, let’s look at an overview of how to create a buyer journey and make it work for you. To understand the journey your buyers take, you must first understand who they are. Traditionally, companies created buyer personas to do this, but these are being increasingly replaced by the “jobs to be done” (JTBD) framework. 2. Understand how your buyers reach the solutions they’re looking for. Now that you understand who your customers are, you need to figure out how they progress through their buying journeys. This is where you create a map of each of the stages they go through on their way to purchasing a product or service. 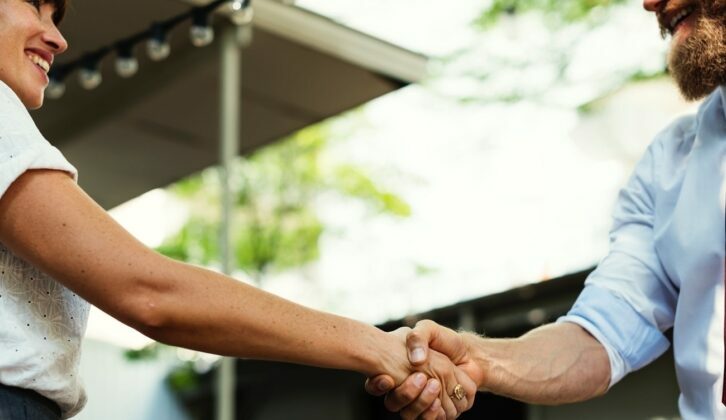 Remember, this isn’t necessarily how they reach you, but rather how they reach their final purchasing decision, even if they end up going with a competitor. You still want to have an objective eye at this point; if you’re only focusing on yourself, you might miss out on potential buying stages that competitors take advantage of to fast-track their prospects. 3. Create content for each stage of the buyer’s journey. This is the fun part. You know your customers and prospects, and you’ve mapped out the most common buyer journeys they go through. Now, you need to plot out and create content that moves your buyers through their unique journeys. Your content should be educational, trustworthy, and persuasive—but not pushy or overly salesy. Most companies will follow the same three-stage journey, but yours may differ depending on your business model and industry. Here’s an example of a variation with four stages. The fourth stage, renewal or loyalty, is relevant for subscription businesses like software and those fun pet boxes that you can get delivered every month. How do your potential buyers describe their goals? Where do they look for information about these goals? Where do they go online for help? Do they go online for help? What are low-commitment ways of getting them to engage with your brand? How price-sensitive are your potential buyers? How do they typically get demos of products that they’re interested in? Do they care about case studies or do they prefer relying on word-of-mouth? Where would they go for this information? How will buyers compare you against your competitors? What do your current customers really like about you? Do you have an edge over your competitors? What is it? Among your customers, how many people had to be consulted before they finally bought your product? Using the answers to these questions, you can then brainstorm types of content to create, topics to hit, and when to get these in front of your potential buyers. It might be a blog post, a how-to video, or a case study, but the key is to make sure you’re presenting these at the right time. If someone’s still in the awareness phase and not ready to buy yet, there’s no point emailing them with a “Try this now!! !” message. If you haven’t looked at your buyer journey in a while, now’s as good a time as any to see if there are opportunities to refine it and where you can improve the quality and timing of your content. And if you’re ready to take the next step, why not learn about behavioral segmentation and how to use it throughout the buyer journey you’ve created? 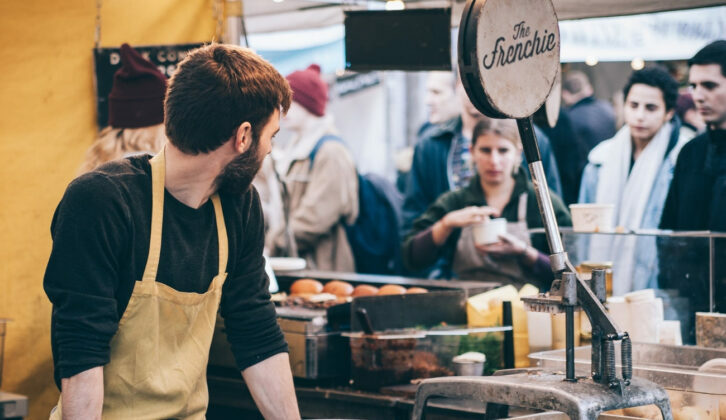 Referral marketing can take businesses to the next level—fast. Read this in-depth guide with examples on how to tap into the exponential power of referrals.